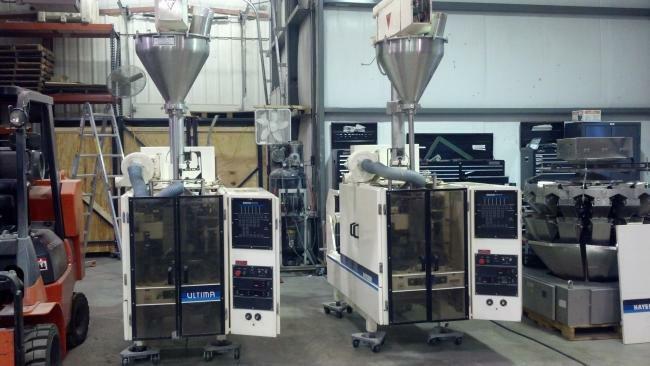 High Performance Packaging offers companies plenty of used packaging machinery options. While all of our equipment is used, it is high quality and ready for installation in your production line. We have a wide variety of machines to meet your needs. At HP, we make sure that all of the used packaging equipment we offer is ready for immediate shipping and installation. All of the machines we sell should function for years, and if you experience any issues with them, we offer troubleshooting services to minimize downtime. If you have any used packaging machinery that you would like to sell, we will accept nearly any type of machine as long as it’s functioning. At buyers’ request, we also offer to fully restore any piece of equipment. Depending on your employees’ familiarity with specific machines, operator training might be necessary. HP offers operator training services to make sure your staff can properly supervise and maintain your production line. With properly trained employees managing your machinery, you’ll experience less downtime and troubleshooting frustrations with your facility’s production lines. If you would like a free quote for a specific used packaging machine we carry, or more information about our various services, contact High Performance Packaging today.